﻿ A new paradigm for education is sprouting in the Northern California landscape. Students in the newly formed Art/Science Fusion Program at the University of California, Davis, connect the patterns, harmonies, symbols and perceptions that are shared across borders and disciplines. Students see and feel art and science, hold it in their hands, hearts and memories—in ceramics, painting, photographs, music, and textiles. With this experience, they transform ideas into new concepts and insights and a greater appreciation for the natural world. Through interactive lectures and studio time, students learn scientific concepts and turn them into works of art. Entomology 1, Art, Science and the World of Insects, the result of seven years of experimentation, is the centerpiece course. Others in the series are Art, Science and the World of Plants; Photography: Bridging Art and Science; and Earth, Water, Science and Song. The Art/Science Fusion Program, led by Diane Ullman and Donna Billick, is housed in the College of Agricultural and Environmental Sciences, Science and Society Program. ﻿ This fusion of art and science, Ullman says, is powerful because it provides a new avenue for understanding nature’s patterns, one that reaches beyond disciplines and challenges the way we view our relationships with the natural world. It is not just a classroom exercise, Ullman says, but fodder for emerging public art efforts at UC Davis. Student projects to illustrate insect classification, biodiversity and natural history have resulted in numerous ceramic mosaic and painted murals on the halls and in the classrooms of the entomology department, where Ullman is chair. “The translation of the educational process into public art on campus extends the learning process to all those who experience the pieces long after the student creators complete the courses,” said Ullman. A new study on the impact of the arts from the advocacy group Americans for the Arts finds that nationally, the nonprofit arts and culture industry generates $166.2 billion in economic activity every year—$63.1 billion in spending by organizations and an additional $103.1 billion in event-related spending by their audiences. The $166.2 billion in total economic activity includes providing 5.7 million full-time jobs. ﻿﻿ ﻿ Last February the Marina Bay Sands resort opened in Singapore and launched the region’s newest cultural landmark — the world’s first ArtScience Museum. The ArtScience Museum is in the position of becoming Singapore’s epicenter for the growing ArtScience knowledge base and the test bed for new and innovative ways to see the world. 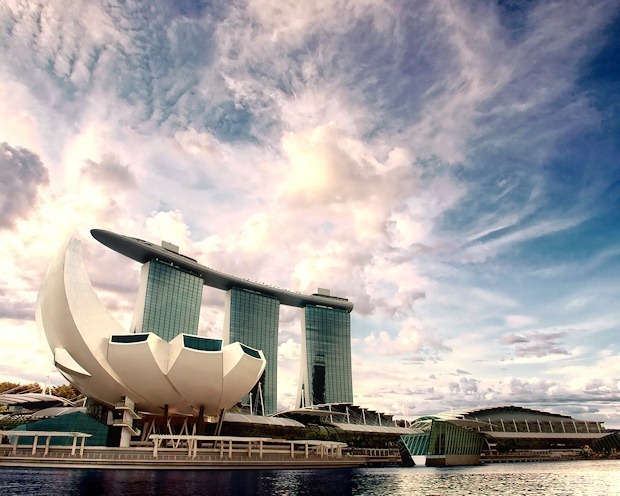 According to Morshe Safdie, Marina Bay Sands’ design architect, every element in the design of the ArtScience Museum reinforces the institution’s philosophy of creating a bridge between the arts and sciences. The building combines the aesthetic and functional, the visual and the technological. This growing awareness of how science and art inform each other is basically what the Word Garden is about. My work as a writer and photographer often takes me to the intersection of art and science, which I hope you’ll agree is a great place to hang out. If you’re not a Word Garden follower, it’s easy to sign up and get regular delivery of Word Garden posts. See you in the garden, bring your microscope! Your photography blog site is really awesome! You've done lots of excellent work! I hope your success. Thanks for the nice compliment on my photography. I enjoy taking photos and sharing them. 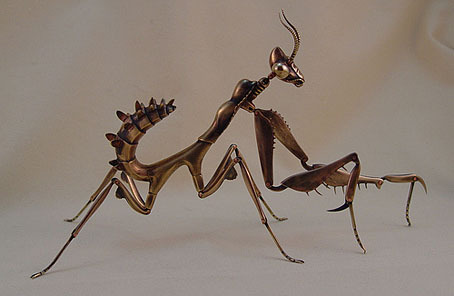 Hi, It is funny that you have used a picture of one of my father's mantises for this blog, but there is no comment as to why. He has nothing to do with this program at UC Davis. Nice to have found the photo, but a little context for it would be suitable.